At one level, the Zica (pronounced Zee-ka) marks Tata’s arrival in the competitive mid-size hatchback segment where the Maruti Celerio reigns supreme. At a larger level, though, the Zica is the car that puts Tata Motor’s reinvention into high gear. That’s because, unlike the Zest and Bolt that are in essence thoroughly re-engineered versions of the Vista, the Zica is an all-new car. Well, almost all-new. The base floorpan comes from the original Indica but this apart the Zica shares little with any Tata car to date. 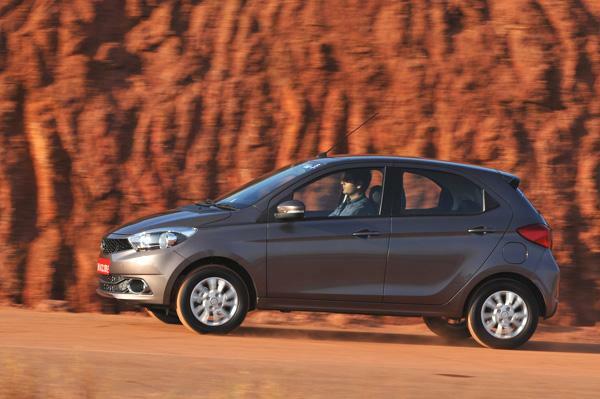 The Zica also looks unlike any other Tata car to date. It’s a clean sheet design and one that looks very appealing in the flesh. 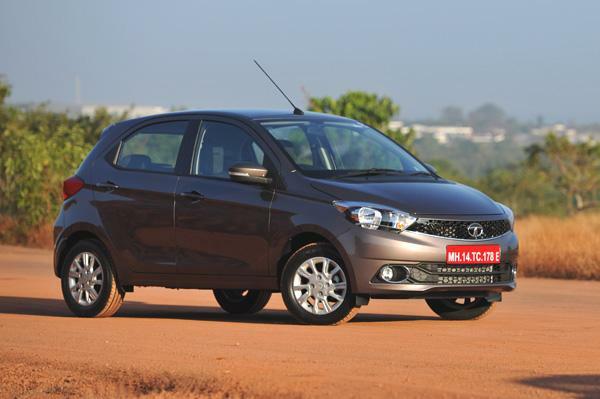 Tata’s traditional smiling grille finds its way to the front-end but the treatment is very modern. It uniquely arcs outwards and flows back naturally into the large swept-back headlamps at either end. The front bumper that houses the fog lamps is neatly done too while further up, the raised bonnet adds a good deal of definition to the design. View it in profile and you’ll like the Zica for its nice, sporty stance. 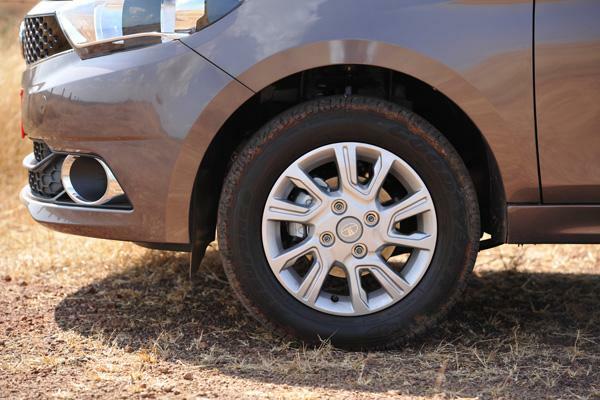 A refreshing change is the way the wheels nicely fill out the arches unlike previous Tata hatchbacks, which looked like they were standing on their toes. Elements like the bold waist line, upward sweep of the windows and chunky C-pillar are in line with contemporary trends but from certain angles their combined effect does give the Zica a passing resemblance to the new Ford Figo. The rear end however looks distinctive with spread-out tail lamps, a neatly sculpted tail gate and a shapely bumper replete with a racy blackened lower portion. Oh, and don’t miss the roof-mounted spoiler atop the rear windscreen either. In terms of size, the 3746mm long Zica is significantly longer than the Celerio (3600mm) and the Hyundai i10 (3585mm) it will primarily compete with. The Zica’s 2400mm wheelbase is second only to the Celerio’s (2425mm) though the Tata’s 1535mm height is marginally down to both rivals. The cabin is the biggest surprise on the Zica. It’s well designed and spacious as it rightfully should be, but what bowls you over is how well finished it is too.Tata has really upped its game in this department and has gone the whole hog to make the cabin look and feel more special than some premium hatchbacks. You can tell a lot of thought has gone into everything right from the choice of seat fabric to the rich knitted roof lining. The plastics are also of a high standard and, in fact, the textured finish on the dash top is something you won’t find even on some more expensive cars like the new Maruti Baleno. The silver shroud around the instruments is the only bit that looks tacky. 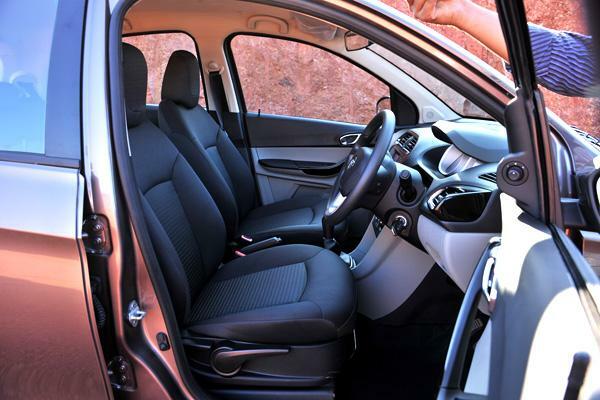 Drivers will, however, like the meaty steering wheel (shared with the Zest and Bolt), chunky column stalks and good all-round visibility afforded by the large windows and low dashboard. The two-tone dash may not be radical in layout (the body-coloured side air vents are optional) but it does look smart and positions the important controls for easy access. 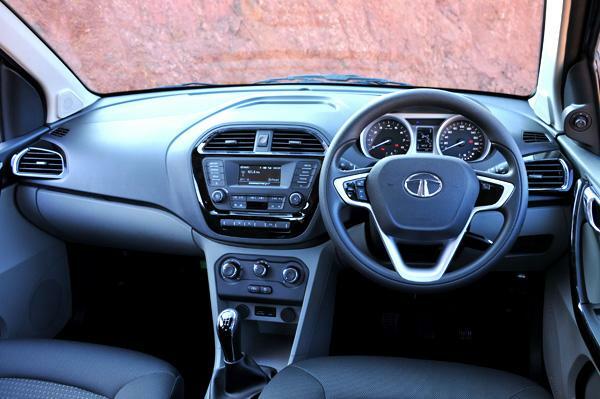 As with all new Tatas, there’s a lot to talk about the Zica’s Harman-developed infotainment system. For one, sound quality from the four speaker and four tweeter setup is really impressive. There’s no touchscreen here but the system does offer aux-in, USB and Bluetooth connectivity for audio streaming and telephone functions. Additionally, the system can be synced to a phone to display and readout turn-by-turn navigation instructions. There’s also the unique Juke Car app that allows each passenger in the car to add songs from his or her device (via mobile hotspot) to a playlist on the phone paired with the audio player. So, no quarrelling over music on long journeys! What could be a sticky issue is the air conditioning. The air-con vents feel solid to operate but have limited reach, the blower is loud and the knobs feel a bit too mechanical in operation. The bigger concern is that the aircon didn’t cool the cabin quickly or effectively. 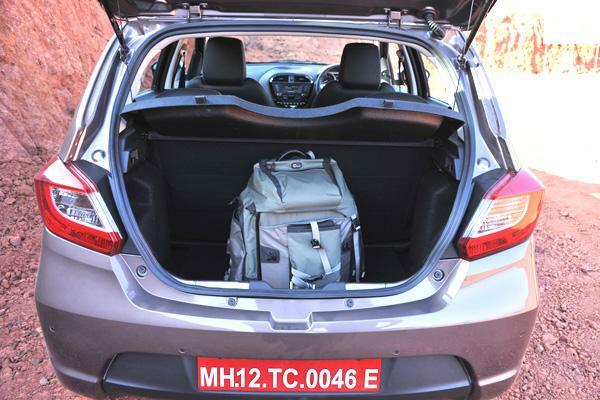 On the plus side, Tata has responded to feedback on the insufficient storage in the Bolt by giving the Zica lots of space for small items. There’s a bottleholder on each door (albeit good for slim 0.5-litre bottles only), two cupholders near the gear lever, a shelf at the driver’s end of the dashboard and a bay to hold mobile phones at the base of the centre console. What’s more, the glovebox is cooled and features a dedicated recess to hold tablet devices. The glovebox’s soft release via a neatly integrated button on the dash is a superb touch.Also worth a mention is that the driver’s footwell is spacious and there’s a dedicated dead pedal too. Up front, occupants get a good sense of space and seat comfort is good though some may find the seat base a tad short. The last bit is a departure from other Tata cars whose front seats offer almost excessive thigh support. Rear seat passengers have it quite nice. 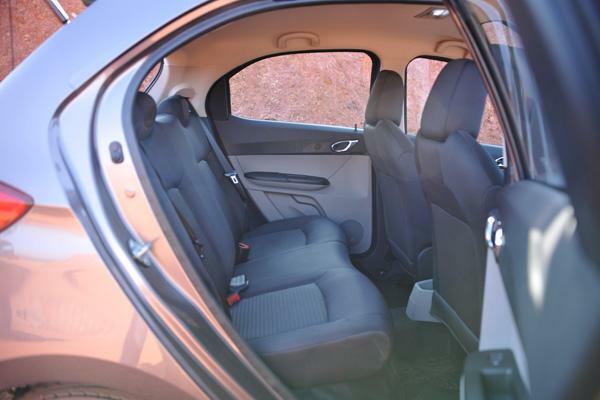 There’s a good deal of space, the large windows let in plenty of light and the seat is well cushioned. The single piece rear seat backrest can also be folded forward to free up more luggage room though the 240-litre boot can hold plenty as is. Not only is the Zica new inside and out, it also happens to be the launch vehicle for Tata’s new three-cylinder petrol and diesel engines. Both engines come mated to five-speed manual gearboxes though automated manual transmission options will be offered in the future. 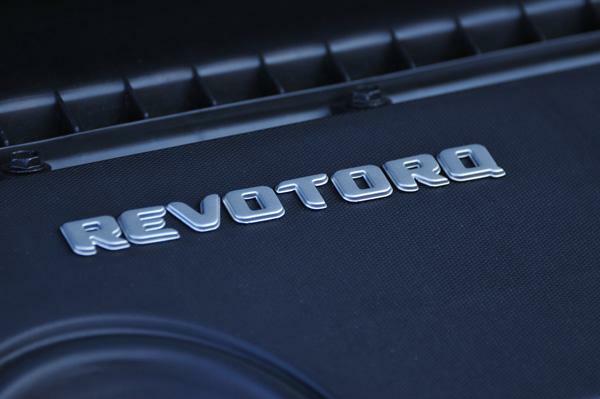 The 1.2-litre Revotron petrol engine is a grounds-up design and uses lightweight all-aluminium construction, a four valve per cylinder DOHC setup and variable cam timing for the intake. It’s an undersquare engine with bore and stroke measuring 77mm and 85.8mm respectively. Peak power is 83.8bhp (at 6000rpm) whilemax torque of 11.6kgm is produced at 3500rpm. Respectable as the above numbers are, the petrol Zica isn’t a very lively performer. The engine doesn’t rev particularly quickly and performance is adequate and no more. The feeling is that you always have to work the engine to bring out its best; a tall third gear only makes this more evident in slow moving city traffic. In stop-go traffic, you’ll also notice power delivery to be jerky. You can sense the fuel cut off the moment you lift off the throttle. 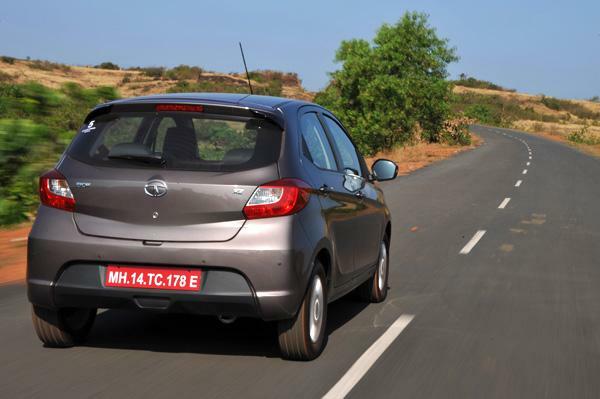 The clutch is light, but not very progressive, and the gearbox also requires effort to slot in at times. Refinement levels are fair at low revs though the thrum from the three-cylinder engine can get intrusive, especially at the 3,000rpm mark when a bit of resonance filters into the cabin. There’s also a bit of a judder just after you engage the clutch and floor the throttle. To be honest, it’s the three-cylinder Revotorq turbo-diesel engine that seems a lot nicer. 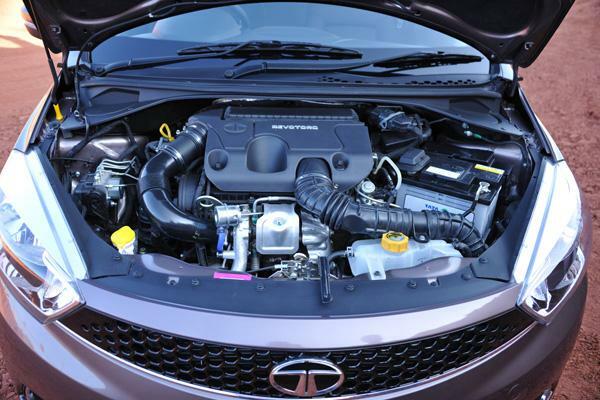 This 1.05-litre engine is actually a downsized (and thoroughly modernized) version of the Indica’s 1405cc, four-cylinder diesel unit. The block is cast iron while the aluminium head houses twin cams and four valves per cylinder. The engine’s 69bhp at 4000rpm and 14.27kgm from 1800-3000rpm make it far more powerful than the Celerio’s two-cylinder diesel unit. Start the engine and there’s no escaping this is a small displacement three-cylinder motor. There are vibrations but it’s not all that bad. The engine also takes time to wake up but builds speed reasonably well from about 1500rpm though the real power comes in only post 1800rpm. Thereon the engine pulls sufficiently but again it doesn’t feel particularly peppy. That’s to say it gets the job done but doesn’t excite in the least. The powerband is narrow and by 3500rpm you know the engine is done with its best. At this point, the engine also gets noisy with a rough roar for a note and this gives even less reason to rev it to 4000rpm and beyond. Drivers will find the clutch light but snappy (more so than the petrol) in the way it engages. The gearbox too is not as crisp as the competitions’. Both versions of the Zica feature segment first drive modes that change the engine characteristics at the touch of a button. There’s default City mode and also an Eco mode to maximize fuel economy. However, we’d recommend the use of Eco mode only while cruising on the highway; the lazy responses to throttle inputs can get frustrating in town. Where the Zica claws back points is in ride and handling. There is an underlying firmness to the ride and vertical movements are sharper than what you’d get on the Bolt but the Zica’s175/65 R14 tyres still round off the potholes very well and also nice is the way the Zica handles corners thanks to the excellent grip offered by the Goodyear tyres. Straight line stability is big car good too and it’s hard to unsettle the Zica. The steering feel has a nice amount of heft which is reassuring, especially at highway speeds but unlike in the Bolt or Zest, it’s devoid of feel and feels vague around the straight ahead position. It must be noted that the suspension set-up is better on the petrol Zica. The diesel Zica which an engine that weighs 20kg more uses stiffer front springs and dampers, which affects the ride. It’s not as pliant as the petrol, feels more nose heavy and you can feel a bit of road shock filtering through the steering column. Tata has clearly put its heart and soul into the Zica and the result is very impressive. The Zica looks attractive, comes with plenty of equipment and has a cabin that could very well belong to a more expensive car. The Zica is also designed to tackle our imperfect roads with ease and is an easy car to handle. Unfortunately, the lackluster engines take much away from what is otherwise a well-rounded package. However, Indian buyers might be willing to make a compromise on the driving experience in return for good fuel efficiency. The petrol Zica (in eco mode) gives an impressive 23.5kpl in Eco mode and the diesel is even more fuel-efficient. What these figures translate to in the real world remains to be seen. 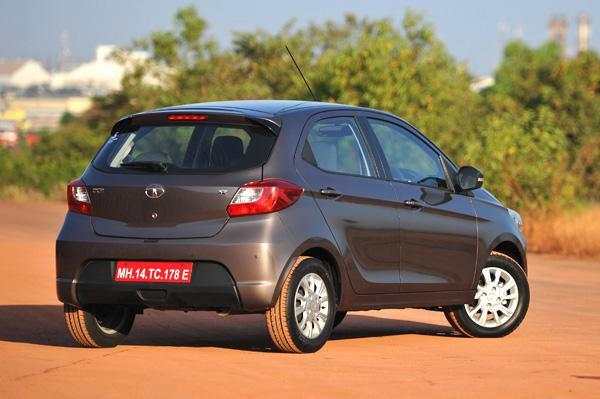 The Tata Zica goes on sale in January 2016 and is likely to be priced very aggressively. The base petrol model will come well under Rs 4 lakh (ex-showroom, Delhi) and the diesel won’t be far off that mark either. But it’s not just promise of value for money but the premium look and feel the Zica offers in this segment that could make it a winner and the car that puts Tata Motors back in the race.